The internet bubble reached its tops when on January 10th, 2000 America Online- announced the purchase of Time Warner Communications. Time Warner was both a larger company in terms of sales and assets, but with the Internet bubble at the top AOL's stock was valued at twice that of Time Warner. By the time the sale was consummated the bubble was over and it was clear that the stockholders of Time Warner had come out the losers. On January 11th, 2000 America Online announced that it was purchasing Time Warner in an all-stock transaction that was valued at the day it was announced at $165 Billion. America Online was founded as Quantum Computer Service in 1985. 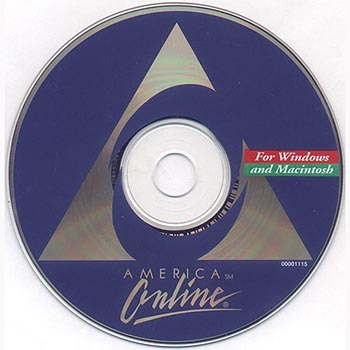 It became AOL in 1992. It was at the time of the merger the largest interest service provider with over 20 million customers. Its stock was trading at a price-earnings ratio of 245. Investors driving AOL stock were expecting growth would continue exponentially. Time Warner at the time had five primary lines of business’s cable networks, publishing, music, filmed entertainment, and cable. The merger closed on January 11, 2001. By then the internet bubble had burst, and the share price of AOL had already dropped. At the time of the merger, the joint stock was valued at $47.23 A year later the value of the shares had fallen to $9.64. It is considered the worst merger in American history. AOL whose stock price had been widely inflated by the internet stock boom used that stock to purchase the genuine assets of Time Warner. It took 17 years to unwind the transaction, and it resulted in the primary holdings of Time Warner being spread to many corporations.